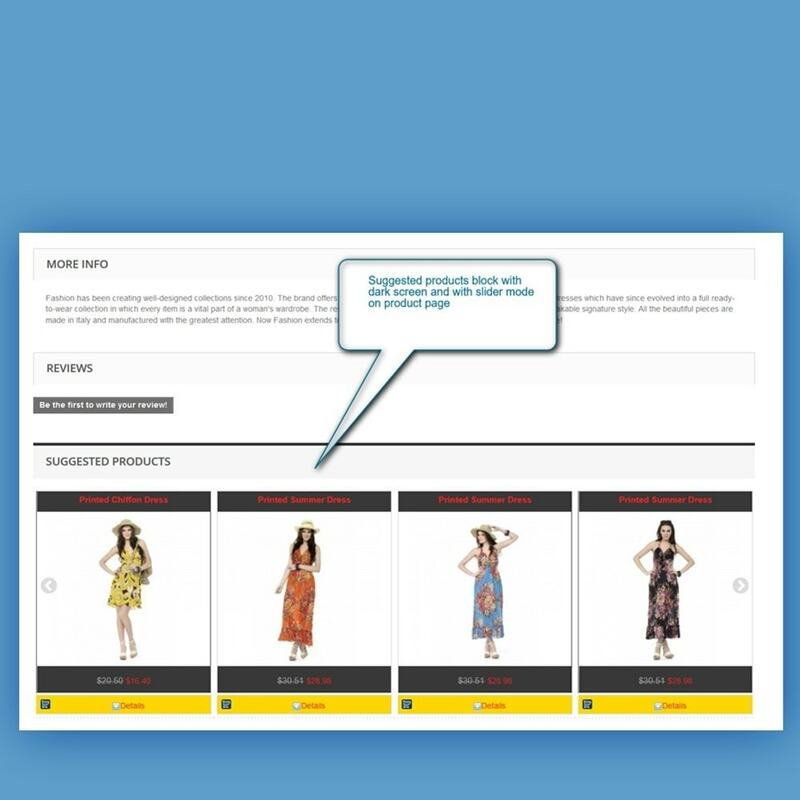 This module allows you to attach products (as many products as you want) on the product page. The attached products can be shown either on product footer or on product tabs. You can show these products in a slider or you can use a simple mode. You can set number of products in slider and you can set display theme (dark/light) for your suggested products block. 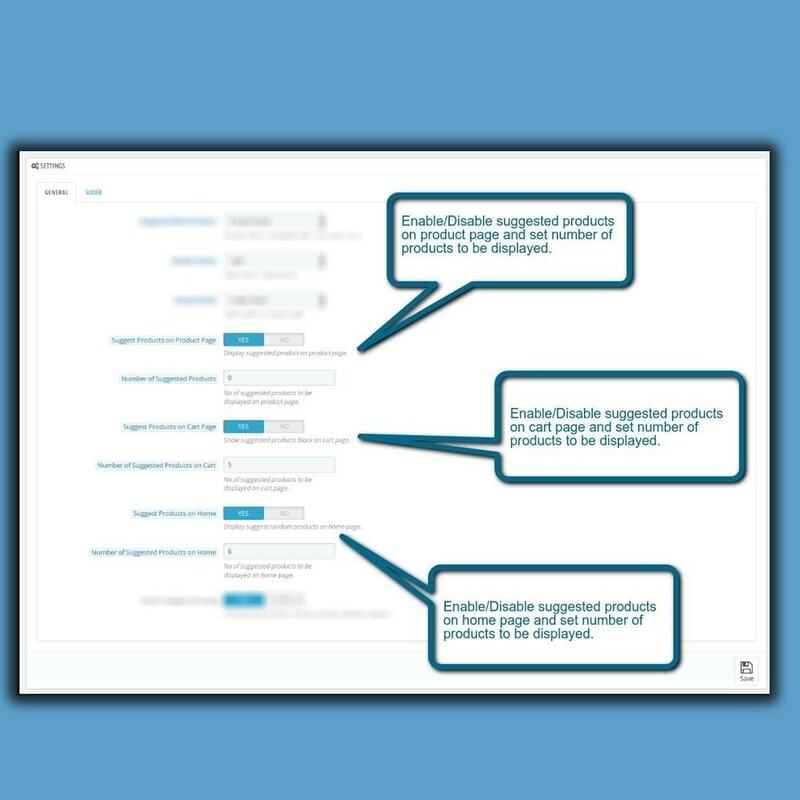 Customer can add the suggested products from the block or visit the detail page of the suggested product. You can add simple/combinations of same product. Display suggested products block in product tab/product footer position. Enable/Disable suggestion items in product page. Enable/Disable suggestion items in cart page. Enable/Disable suggestion items in home page. Set number of products to be displayed in on product page. Set number of products to be displayed in on cart page. Set number of products to be displayed in on home page. Set simple or slider mode. Select dark or lighter theme for your suggested products block. 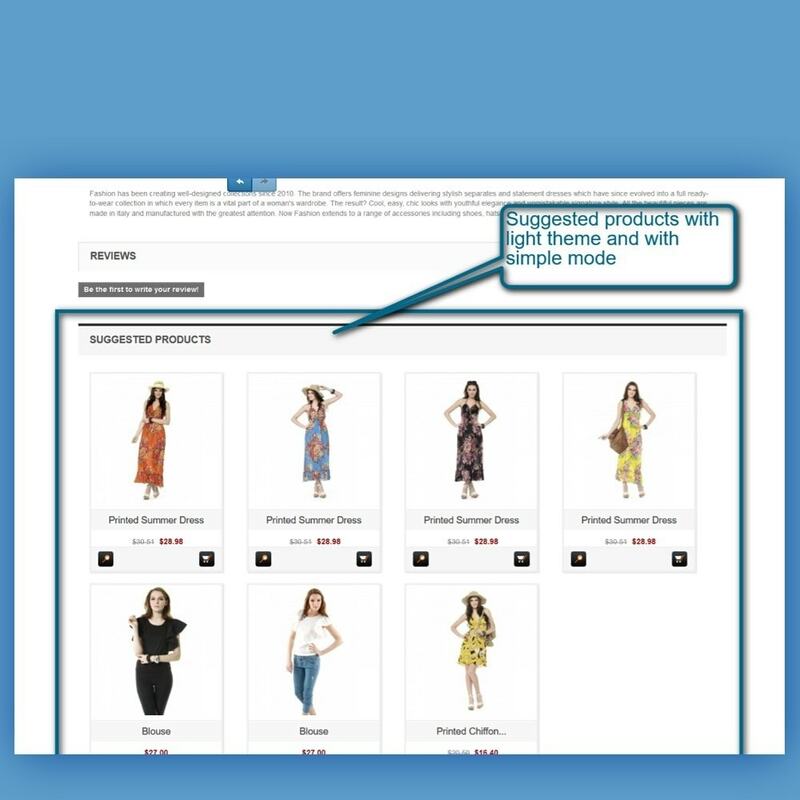 Set number of products to be displayed in slider mode. 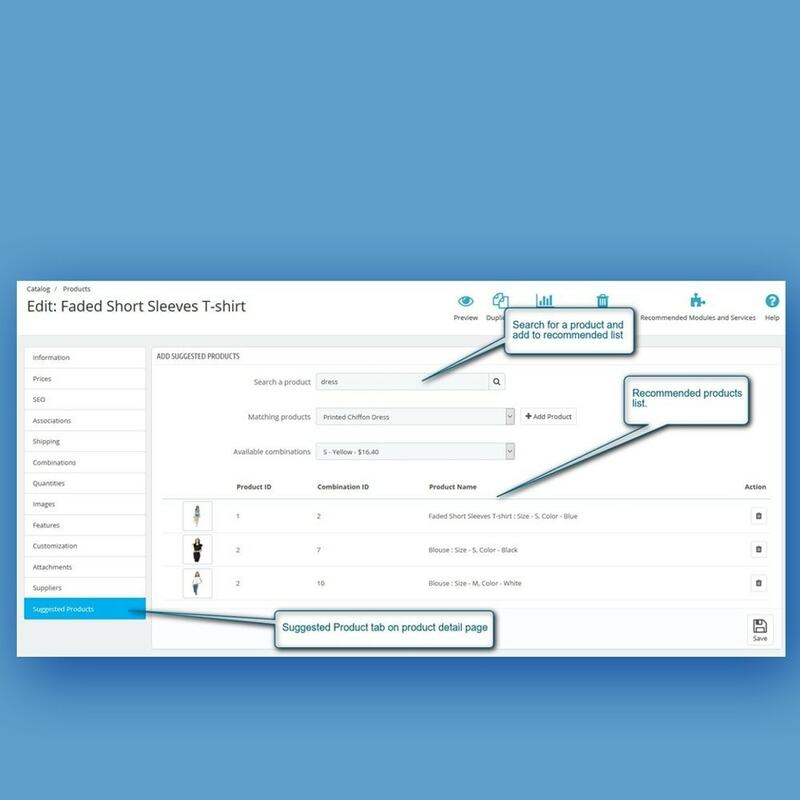 Added smart Product grouping feature. 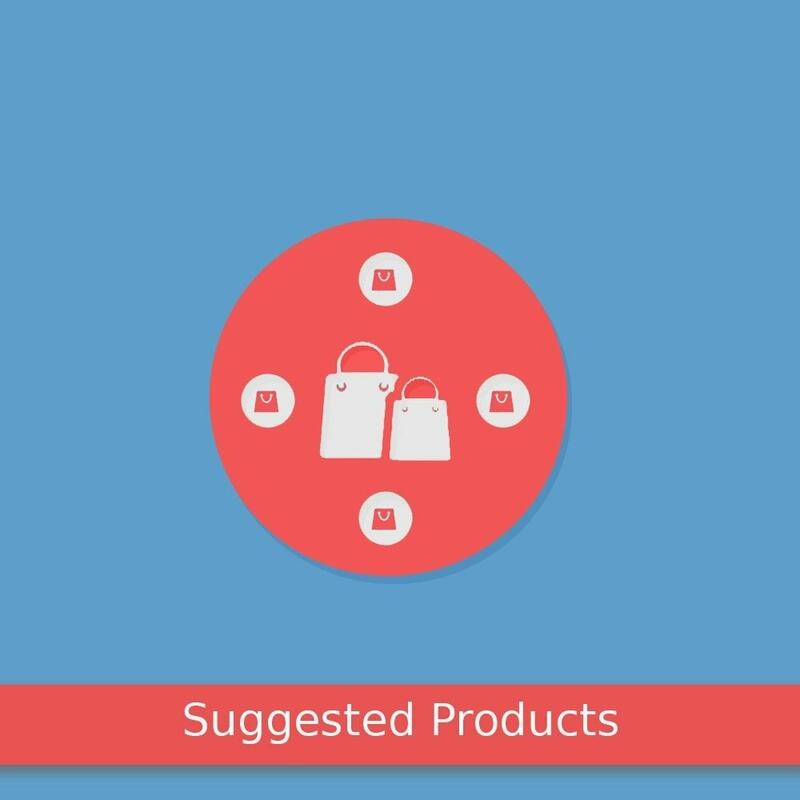 Customers can add suggested products to cart from suggested products block. Customers can add suggested products to cart from home page. 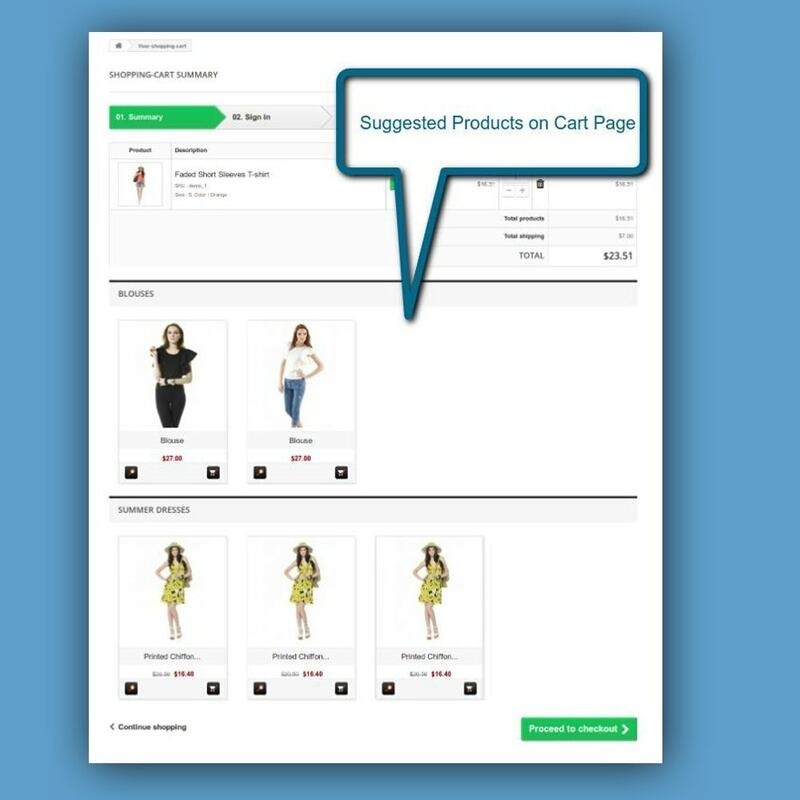 Customers can add suggested products to cart from cart page. 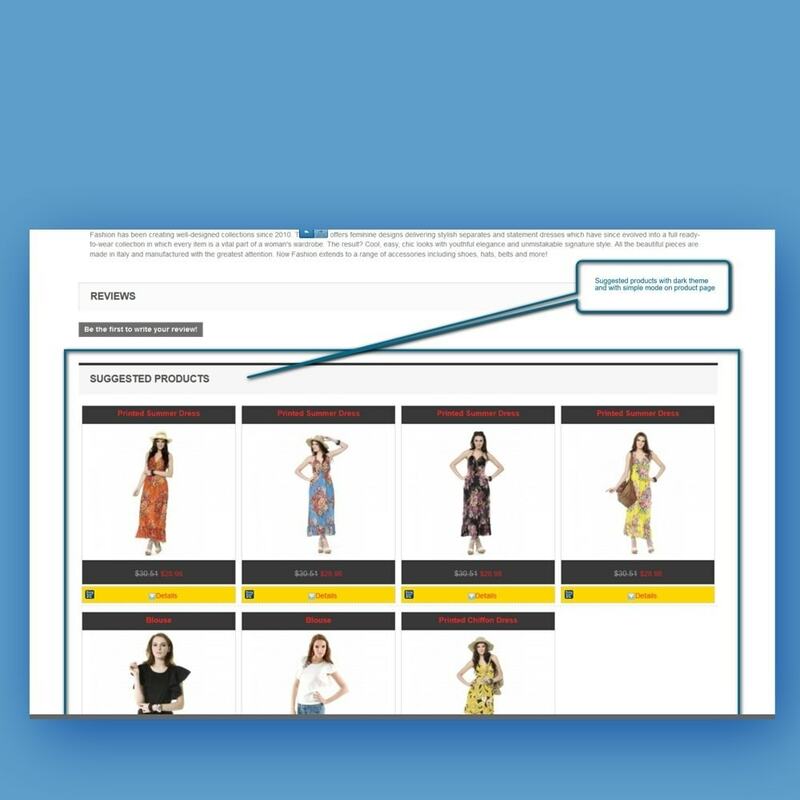 Customers can view detail of a suggested product from suggested products block. Flush your cache after successful installation. Go to Modules > Modules and add new module. 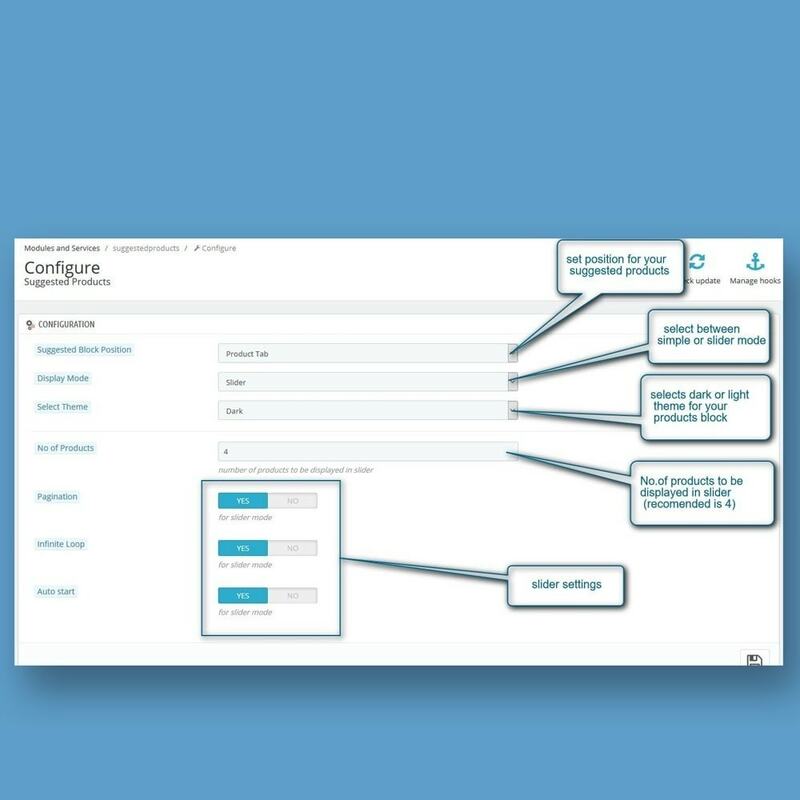 Click on Configure button to manage module's front office settings. 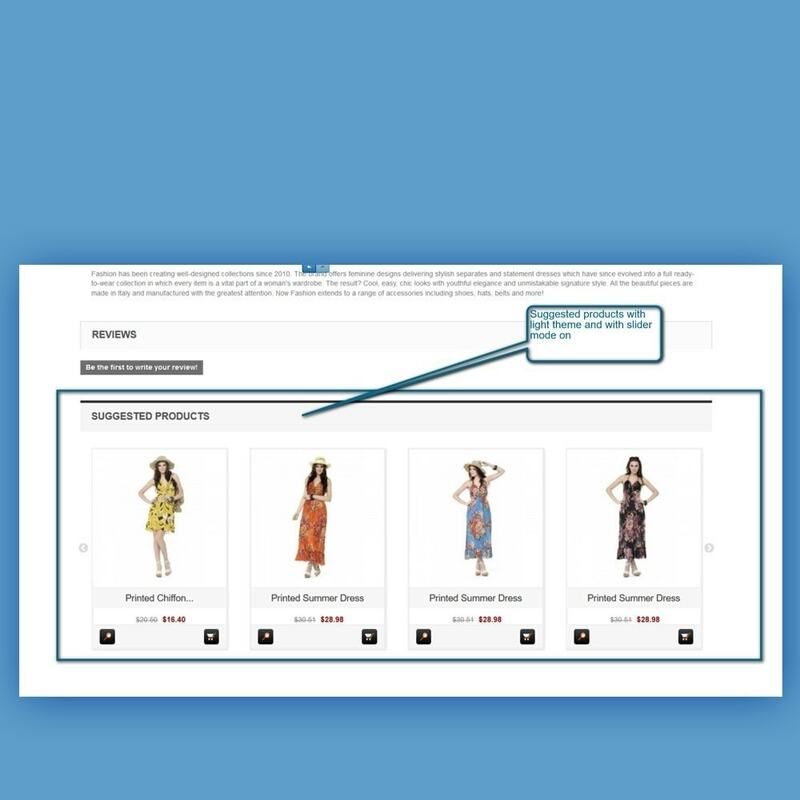 Search and attach suggested product from your catalog.